Are you enrolled in HELP Plan Medicaid? If so, you are eligible to enroll in HELP-Link, which is a workforce program designed to connect you to your dream job. What does Help-Link do for Montanans? 78% of HELP-Link participants who were unemployed during 2016 found employment after completing the program. Roughly 39% of HELP-Link participants who completed the program in 2016 experienced wage growth. The average wage increase was $4,980 from 2015 to 2016. During 2016, 72% of employed participants who did not need extensive services had higher wages after completing their HELP-Link program, by an average increase of $1,680. Registered nurses earn a median wage of roughly $60,000 in Montana, which would likely be enough to lift a family of five out of poverty and above the Medicaid expansion eligibility threshold. The remaining occupations listed have median wages between $25,000 per year and $43,000 per year, which likely would be enough to lift individuals and small families of two people above the Medicaid expansion eligibility threshold. Participant counts reported as of 3/02/18. Employment and training outcomes reported as of 7/07/17. This memo does not include data for Montana HELP plan participants who have been trained through DPHHS programs.  HELP-Link is a free workforce program that connects Medicaid enrollees with high quality workforce training, employment services, and job openings in local communities. HELP-Link is a voluntary workforce program specifically designed to assist individuals participating in the Montana HELP Plan (also known as Medicaid Expansion) in order to improve their employment and wage outcomes.